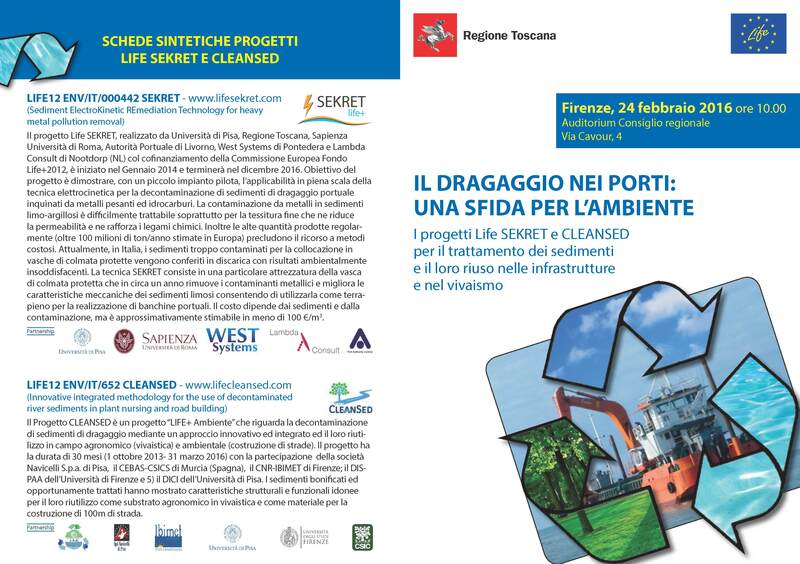 Wednesday 24 February 2016 Regione Toscana – Settore Tutela della Natura e del Mare – Auditorium Consiglio regionale Via Cavour, 4 – Firenze 10.00 Desk Officer and External Monitor arrival. Welcome to the participants. 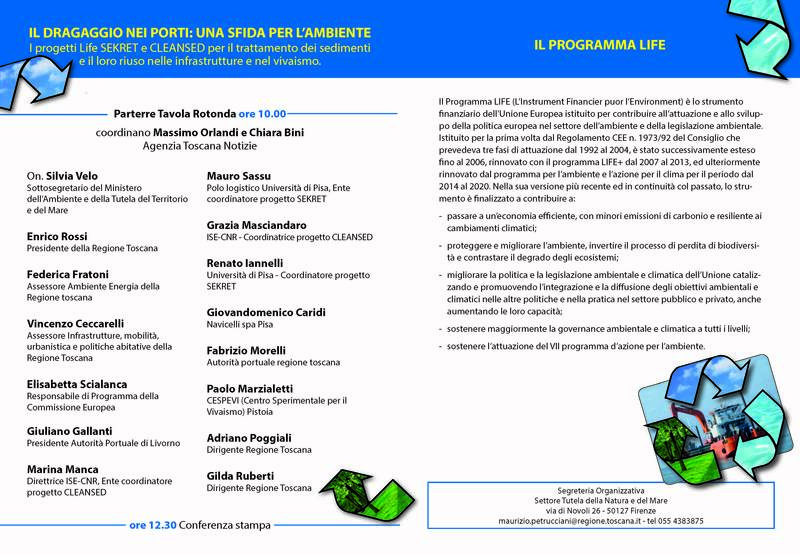 Round-table conference coordinated by Massimo Orlandi and Chiara Bini (Agenzia Toscana Notizie). Presentation of projects: LIFE12 ENV/IT/000652 CLEANSED -Innovative integrated methodology for the use of decontaminated river sediments in plant nursing and road building LIFE12 ENV/IT/000442 SEKRET – Sediment ElectroKinetic REmediation Technology for heavy metal pollution removal 12.30 Press Conference 13.00 Break 14.00 Transfer to Livorno Harbour 15.30 Visit of the Sediment Electrokinetic Remediation Plant established by SEKRET. Analysis of technical issues. Project actions, state of progress, prospects. Involved people: Elisabetta Scialanca, Roberto Ghezzi, beneficiaries’ technical staff. 18.00 End of the first day of the joint visit.